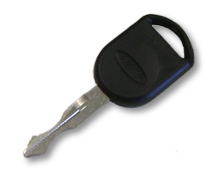 A transponder key is a key with an electronic chip embedded into the plastic body of the key. The chip transmits a radio signal from a handheld device to a remote receiver in the vehicle. They’re most commonly used to unlock and start your vehicle. Each one is programmed to only start a specific vehicle, reducing the possibility of theft. The chip itself is passive, so it does not need a battery. A unique code within the vehicles’ ECU (engine management) matches the code held in the key, allowing it to start. If the chip is damaged or missing, then your vehicle will not start. 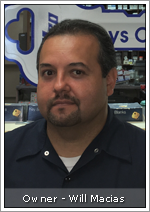 ABC Lock & Key technicians are thoroughly trained in the latest advances in transponder keys. We have the expertise in transponder key programming to ensure your vehicle accepts the proper key coding. 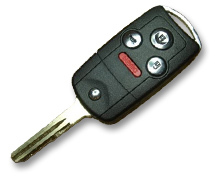 If you don’t know what to do concerning a late model transponder key and your tired of relying on the big dealerships, we can cut keys by code for almost any vehicle. We can make keys for cars even when codes are not available. Come in or send us a lock from the car and we can generate a key for it. This will usually give you a complete working key for the car. Please call before you send. If you own a vehicle that has a high security key, we can handle most makes such as BMW’s, Hondas, Mercedes and more. This is the same service as your main dealer, but with the benefit of being less time consuming and less expensive. We will also beat the big dealerships when it comes to customer service and satisfaction. 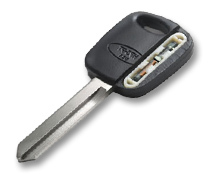 For a quick and reliable replacement for transponder keys at very competitive rates, call us today!.